Limited edition 3 CD set comprising Chef Menteur’s latest album Force Majeure, originally released as a now sold out cassette, a reissue of their earlier album East of the Sun and West of the Moon, and its previously unreleased companion album North of Tomorrow and South of Yesterday, with material from the same sessions. The set is packaged in an aesthetically pleasing triple gatefold card sleeve, placing Sunrise Ocean Bender among those labels that care as much about the visual design of their releases as the music itself. 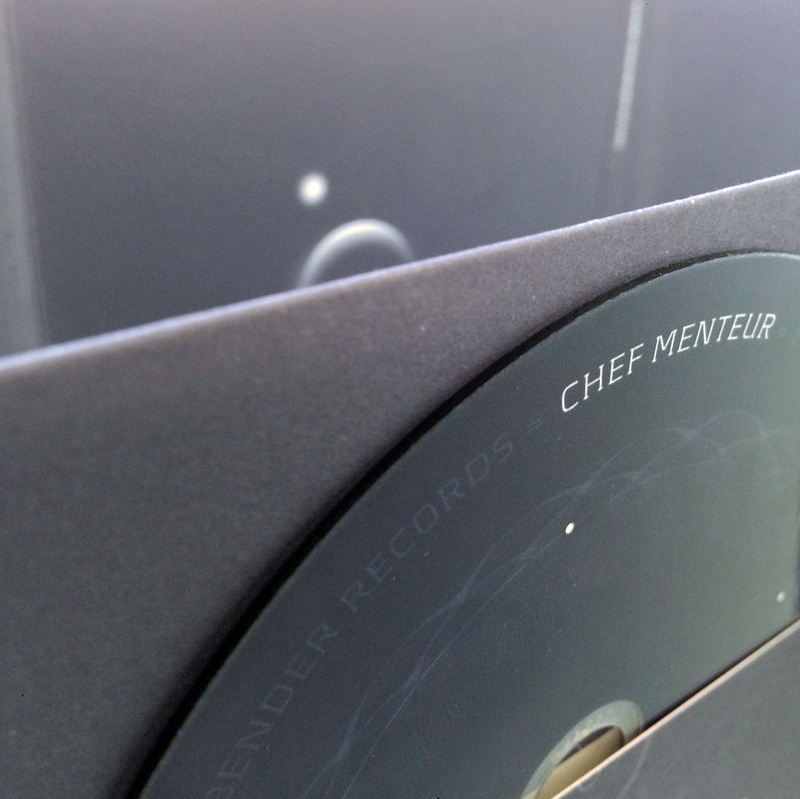 Chef Menteur make instrumental music that straddles a variety of genres and is full of creative, inventive ideas. Starting with East of the Sun and West of the Moon: Narconaut is intense psych/spacerock with the effective addition of cosmic whooshing sound effects courtesy of sine wave generator. Il Obstrue Ma Vue de Venus combines a folky guitar melody, and a similarly folky interlude based on mandolin and melodica, with heavy psych rock aspects, atmospheric effects, and experimental noise. The Forest combines ambient drones, electronic beats and spoken word samples. Ordo Templi Orientis brings together sitar, thundering percussion, noise guitar, spacey effects, and experimental elements in a way that is original and engaging. I Belong to this Plateau is a gentle folksy piece augmented by atmospheric drones and effects, found sounds, and squalling noise. Force Majeure begins with Faeroe, a soothing combination of drones and a repeating melody that could just as much be from a folk song, a hymn, or a classical piece. The overall sound, whilst having things in common with post-rock and film score, basically defies categorisation. Pyrymyd Scheme is an upbeat rock piece incorporating aspects of funk, psych, and noise. Surface Tension brings together dramatic music that sounds like it ought to be the theme tune to a 1960s spy movie with elements of post-rock and episodes of huge, cavernous soundscaping. North of Tomorrow and South of Yesterday introduces some absurdist titles, like Ribbons from Lake Kwashiorkor, Don’t Invite a Centaur to Your Wedding, and Kenny G Goes to Guantanamo Bay. The music is not as wacky or angular as those titles might suggest, but certainly continues with the original approach of the accompanying albums. This album features the chilled-out ambience of Farfisa Duo Raga, the percussive Where Wings Take Dream, the Eastern-tinged The Long Stand part 1, the heavy, spacey post-rock of Phallus Marinarus, the chaotic noise of Kenny G Goes to Guantanamo Bay, Lozenge Jazz Club, which whilst not being jazz per se, shares that genre’s improvisational quality, and various other tracks that I’m not even going to begin to try sticking a label on. Indeed, the descriptions above only represent the basic gist of what is going on here; Chef Menteur rarely play by the rules of any genre, instead adding much that is their own. An impressive, exciting collection of music from this free-thinking band. Find out more at www.sunriseoceanbender.com.